Given the enormous success of the Harry Potter franchise and the fact that the Twilight films are about to wrap up, it was inevitable that Hollywood would find another young adult novel franchise to mine in the hopes of continuing the gravy train. While Suzanne Collins’ Hunger Games trilogy doesn’t have the high-profile of its predecessors, there is still a massive inbuilt audience for any film adaptation and the studio has banked on that with a reported $100 million+ budget. Unfortunately, the filmmakers have relied far too much on the source material; leaving the film a confusingly mediocre experience that feels like it should have been so much more. Having never read the books myself, I could nonetheless spot numerous references throughout the film to back story and characters that I never saw on-screen. As a viewer, this is extremely frustrating. The point of an adaptation is to provide a standalone experience that will bring new fans into the fold. Yet The Hunger Games seems to be made only for fans of the original material; fans that will already have an image of the world and characters established in their heads and were presumably happy with the books. While the enormous marketing push behind the film has seen an amazingly successful opening week, it will be interesting to see whether this shortsighted approach will hurt the studio when it comes time to release the inevitable sequel. Somebody has to keep the fashion designers employed. 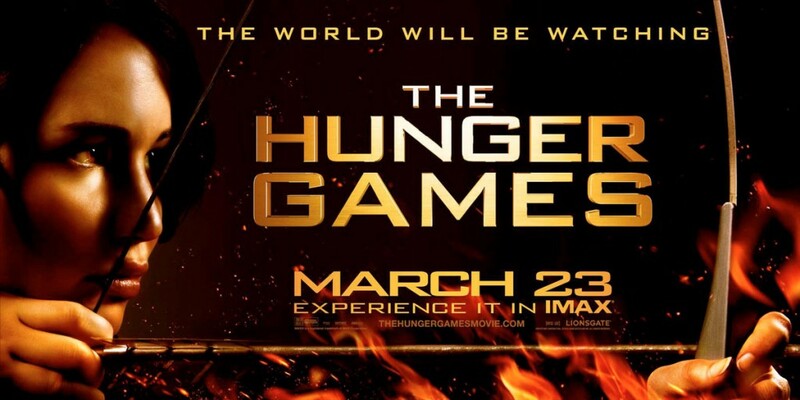 Aside from the issues of accessibility, there are a number of technical flaws that also bring The Hunger Games down. The most obvious of these is the incredibly obnoxious shaky cam that is employed far too often throughout the film. The action scenes, one of the major draw-cards of the movie – are a blurry mess that gives the viewer almost no idea of what is actually happening. While this may help keep the film down to a PG13 rating, it robs the viewer of seeing these kids actually fight it out, the premise of the entire story. 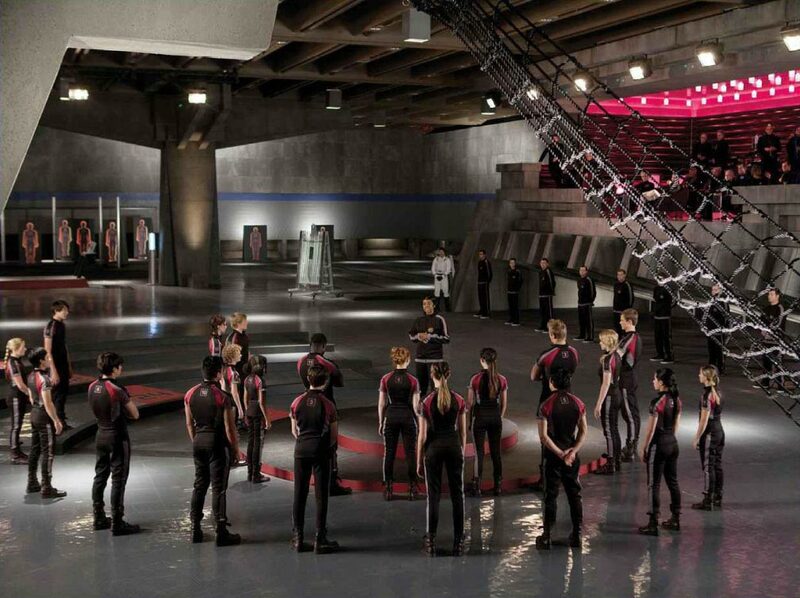 The shaky cam isn’t just confined to the action either; most of the opening sequence showing the desperation of the downtrodden masses of District 12 seems to have been filmed with the camera on the end of a piece of rope, a nauseating experience that lasts for several minutes before briefly stabilising. The special effects throughout the film are also hit-and-miss, there are some spectacular vistas on display, but the CGI falls down a bit when the camera moves in close on creatures and effects. Barely in the film, yet still some of the most memorable characters. 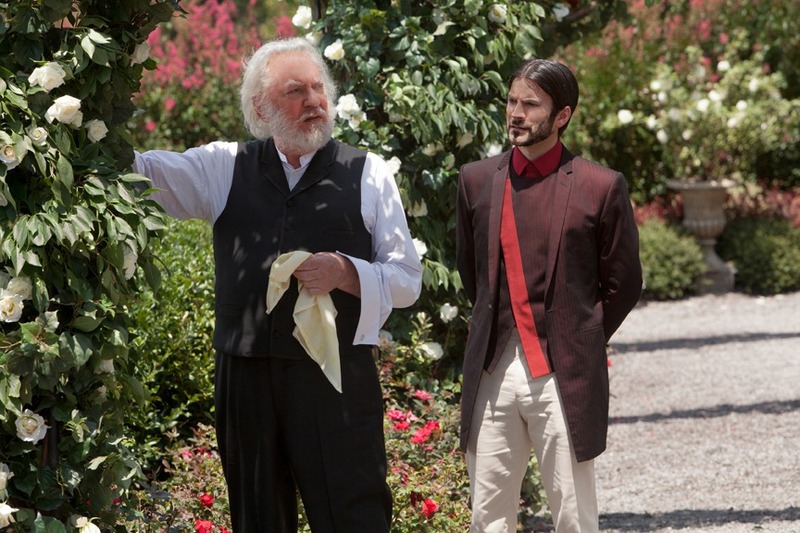 When the camera stays still long enough to see them, there are several good performances on display in The Hunger Games, but most of them come courtesy of the star cameos littered throughout the film. The scenes involving the adult cast were always compelling and gave the film a greater sense of depth and character, making the scenes with the younger cast all the more pale in comparison. Jennifer Lawrence does a good job of keeping the movie grounded and interesting as Katniss (who calls their daughter Katniss? ); but unfortunately she doesn’t seem to have much to work with. There are 23 other children participating in the arena, but I would be lying if I said that I could remember what a single one of them was called. Even Katniss’ offsider from District 12 is absent from the majority of the film, leaving everything resting on Lawrence’s shoulders. She gives a solid performance, but it’s not enough to keep the movie on track. Just a bunch of redshirts. The formula that exists for these kinds of competitive films is that we are slowly introduced to a selection of competitors during the build up so that we can feel joy/dismay when they do well in the competition. None of this happens in The Hunger Games. Characters are introduced throughout the competition and then killed off five minutes later. The sad music swells and the heroine cries – the movie does its best to tell the viewer that they should be feeling sorrow, but why should I feel sad that a character who has had less screen time than the film’s logo is killed off? Especially when they’re killed by a bunch of evil stereotypes. Overall, The Hunger Games was a competent but mediocre film. I found the world and premise interesting, but didn’t really have any connection with the characters that I was supposed to be rooting for. Given the film’s box office performance there will almost certainly be a sequel in the next couple of years, I just hope that it can stand on its own better than the first installment. 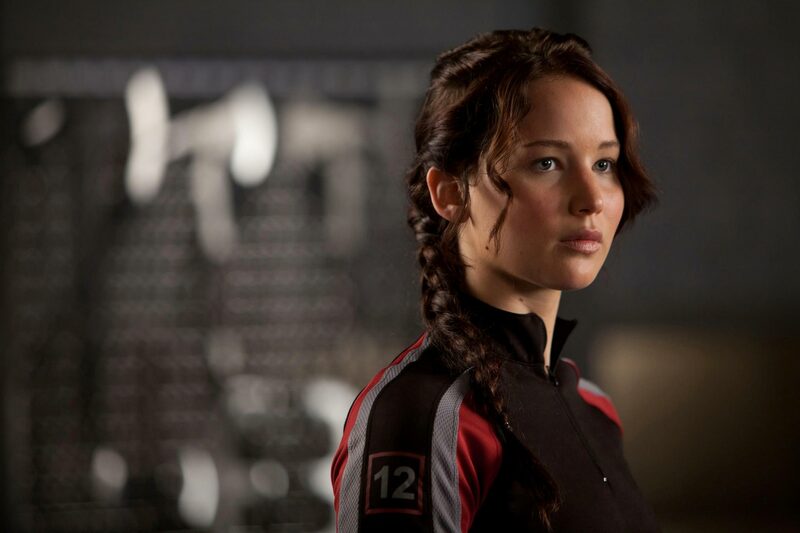 What I Liked – Jennifer Lawrence keeps the film grounded. Some good (if short) performances from supporting cast. World seems interesting. What I Didn’t Like – Obnoxious camera. Poor structure. Little characterisation. Requires the book. Disappointing production values. Not getting to know the kids is the entire point – they’re not humans, they’re pawns to be killed off for amusement. Your review is so depthless it makes me wonder whether you really did see the movie. Then why does the movie make such a point of showing how sad we’re supposed to be when they die? If they’re supposed to be completely meaningless we may as well watch a movie where the heroine is pitted against a group of robots to survive. The point of these kinds of movies is to hammer home the human cost of such bloodsport, every victory means that someone’s entire life is brought to an end, and the heroine has to deal with that.